Elsipogtog First Nation, Oct 14, 2011—Drove west and south today to the First Nation of Elsipogtog – a Mi’kmaq community of approximately 3,000 people, along the northern shores of New Brunswick. This is the location of Elsipogtog Public School, where CFTC has been supporting school breakfast and lunch programs for the last few years, as well as providing new equipment for their kitchen. 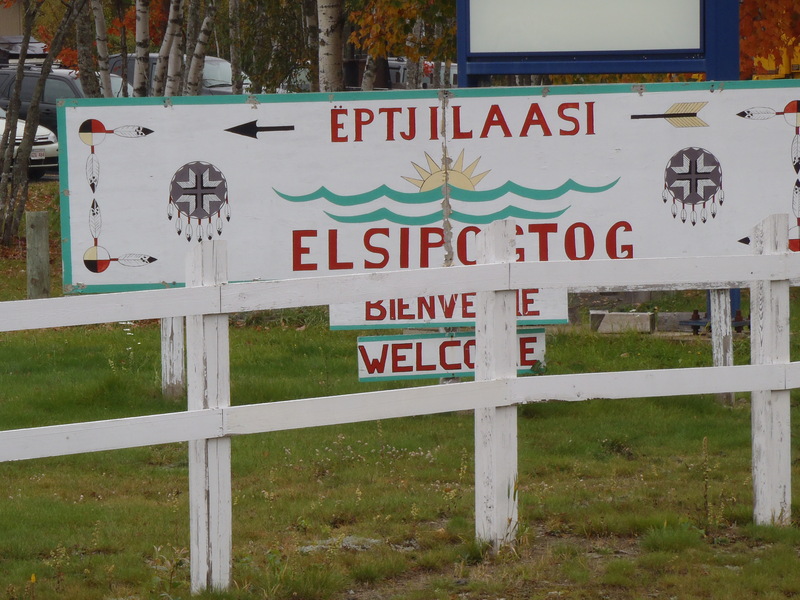 Elsipogtog is a community with significant – and increasing – poverty and related health issues. They are challenged to keep pace with the demand for health-related and health care needs of their community. In our meetings with community leaders, they shared that the Canadian Federal government funds about 25 per cent of their overall budget needs, but the rest of the funds need to be made up through a variety of grants. These grants require considerable time and resources to both develop and manage. With my two new friends at Elsipogtog Public School. The good news is that this is a community with a strong capacity for action – and the work they have done to date is impressive on so many levels within the school and across the community. Together we shared ideas of how to expand the CFTC program to support children who do not get regular meals after they leave school at the end of the day. We also discussed how to leverage a school community garden, and how to engage parents in the importance of nutrition for children at home after school and during the summer months. Not easy – but some great ideas are tabled. We also have the chance to share related learning from a number of our projects in Ghana and Uganda, which is a great way to build connection and ideas on key issues impacting children. 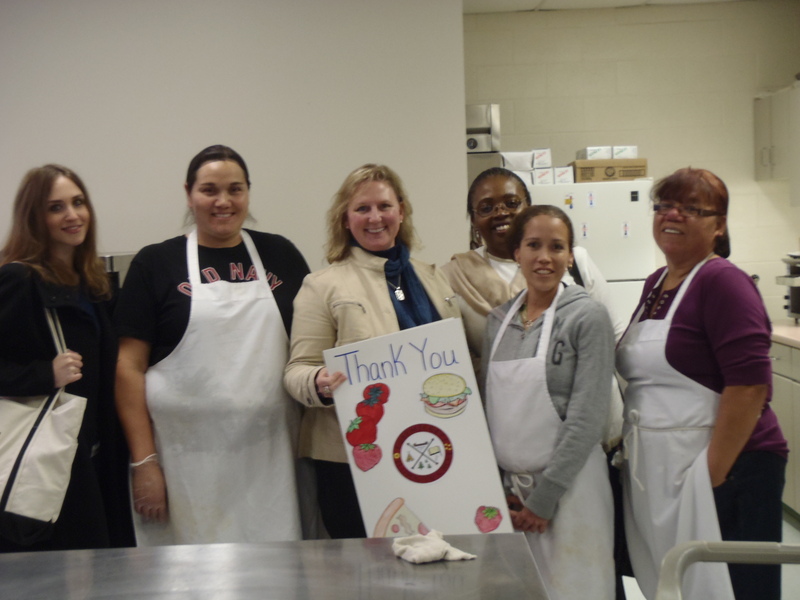 CFTC's program manager for Canada and the kitchen staff (I'm in the middle with the thank you card!) at Elsipogtog Public School. The cook and her team beam with pride. Teachers commented on the decrease in the children’s anxiety, which they had previously seen before the breakfast and lunch programs were in place, while at the same time there has been an increase in the children’s ability to pay attention and improve their grades. Seems there is never enough time to spend with the community – but enough to know that the support from CFTC and our incredible donors is making a difference – and that we have a great partner in Elsipogtog.